Coldharbour, La Tour, Pulteney’s Inn, the Manor of the Rose…. Every Ricardian knows of Coldharbour, the great riverside mansion in the city of London that Richard III turned over to the College of Heralds in 1483, which was then kicked out again by Henry VII and given to his formidable mother, Lady Margaret Beaufort (I know she wasn’t known as that by then, but it’s easier to stick to her most famous name). Coldharbour (various spellings, too many to dwell on here) had been built by 1317, when it is recorded as being leased. 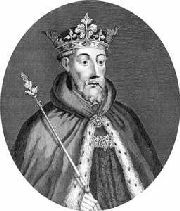 Then it was purchased in the reign of Edward III by Sir John de Pulteney. The property was in the parishes of All Hallows the Great and All Hallows the Less in Dowgate Ward, with an impressive river frontage. Very desirable. Its entrance from Thames Street was through an archway beneath All Hallows the Less. This access gave rise to another name for the mansion, “La Tour”. Pulteney’s Inn was another great London mansion. I have used this spelling of Sir John’s name, which can also be found as Poultney and a few other variants. This second property was in the parish of St. Laurence de Candelwykstrete (the name of which was changed to be named after him, St Laurence Poultney – corrupted to Pountney. This mansion also had a second name, “The Manor of the Rose”. Clearly they are separate properties in separate parishes, the only connection appearing to be good Sir John de Pulteney. But somehow a lot of confusion has arisen, with Coldharbour being referred to as Pulteney’s Inn. Yet he lived in the real Pulteney’s Inn in the other nearby parish. All four names appeared to have become confused, often as if they belonged to one mansion, known separately as Coldharbour, La Tour, Pulteney’s Inn and the Manor of the Rose. How has this come about? Surely not because of good Sir John? 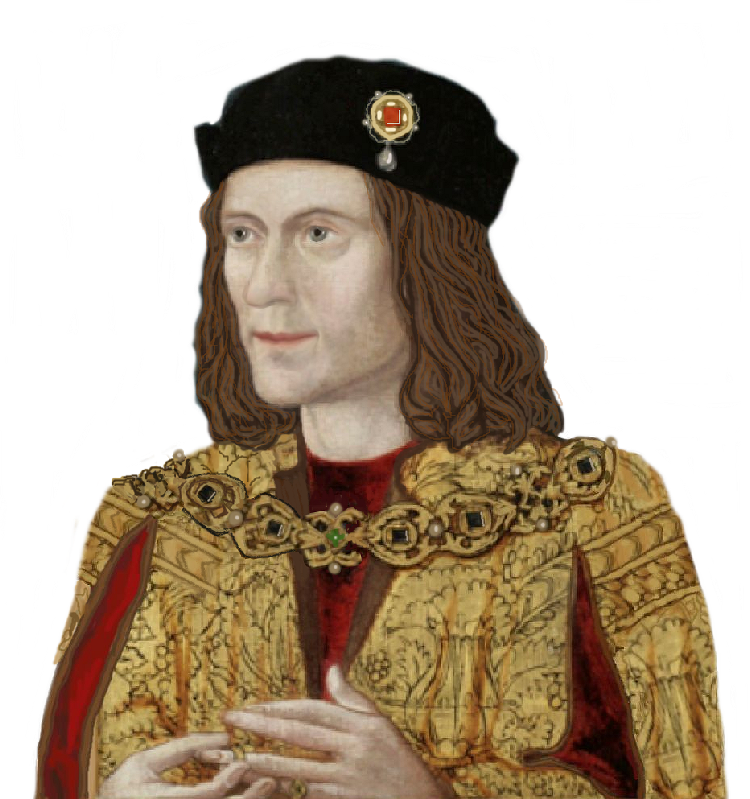 No, there is another reason for all this, and to find it we have to go back to the reign of Richard II. In 1397 the house was the inn of John Holland I, Duke of Exeter. It was here he famously entertained his half-brother the king to a lavish dinner, prior to Richard and his powerful friends setting off to Pleshey to deal with the then Duke of Gloucester, with whom Richard was greatly displeased. Well, that is putting it mildly. I have found a specific reference (since lost) to Coldharbour being known as La Tour during Holland’s tenure. What has this to do with Pulteney’s Inn, do I hear you ask? Well, simply that John Holland’s son, John Holland II, also Duke of Exeter, occupied Pulteney’s Inn. 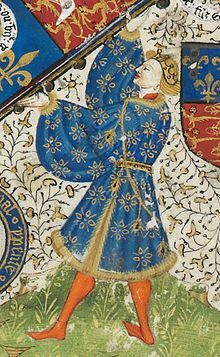 So, two John Hollands, both Dukes of Exeter, both in houses connected to Sir John de Pulteney. Over the years the amalgamation began, until by the time I came to check which house was which, and which one really was John Holland I’s inn, I had to wade through all four names before eventually get to the bottom of it, two houses, each with two names. At least, I hope I have. 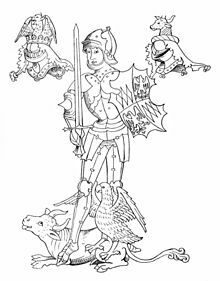 Unless anyone knows better, it is my opinion that Coldharbour/La Tour were one house, occupied by John Holland I, and eventually given to the College of Heralds by Richard III. Pulteney’s Inn/the Manor of the Rose were also one mansion with two names, occupied at one time by John Holland II. Both mansions appeared to have been the property of Sir John de Pulteney, four times Mayor of London. And may I add that in delving for the identification of these houses, I was helped by my good friend Eileen Bates, who knows London so very well and can find sites that would pass me by. Thank you, Eileen.